This blog is open to members of the SOPA Committee and others and offers an open space for personal perspectives on topical issues to stimulate debate. The views expressed are independent of SOPA and are not endorsed by SOPA. See Chair Tom Berney's column in Newsletters and the Annual Report for official SOPA policy statements. Recently, mental health has resonated with politicians, resulting in it climbing up the political agenda. 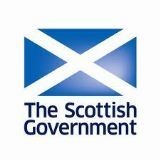 Organisations such as the Scottish Association of Mental Health has played a significant role in this with its vision of everyone in Scotland able to get help fast if concerned about their own or a close family member’s mental health. 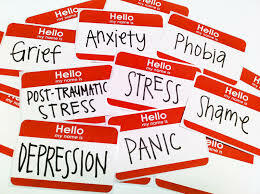 Certainly, long-term change is needed in mental health promotion, care and treatment. A key issue arising from discussions at the last SOPA Assembly was one specifically affecting people reaching the age of 65 who become ineligible for therapeutic interventions from a mental health budget if this is the person’s first episode of anxiety, for example. The funding comes from a more restrictive ‘geriatric’ budget and the person could find herself in a care home among people with dementia, instead of receiving an 'at home' intervention such as cognitive behavioural therapy (CBT). This age cut-off clearly in indicative of an ‘ageist’ policy and certainly is not in the best interests of the person, or in the long-term care and cost implications for the NHS. People when they reach the age of 65 have potentially many years of life ahead of them and treating their mental distress as a geriatric illness in these times of longevity is doing the person a great disservice and injustice. In a recent issue of Holyrood Magazine, Andrew Strong pointed out that, despite the Mental Health Foundation and Voices of eXperience (VOX) publishing ‘A Review of Mental Health Services in Scotland’, the detailed information in this report does not appear to have filtered into the development of the government’s new 10 year vision. He posits that the emphasis is on report writing (outputs) and not on what should change for people with mental health problems (outcomes). It is to be hoped that the feedback from people such as Strong and and of SOPA will lead to changes that reflect the voices of lived experience.